Amazon Web Services has included application management firm Symmetry in the AWS Solution Provider Program intended for members of the AWS Partner Network. 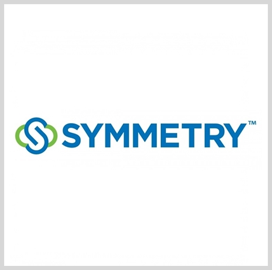 Symmetry said Wednesday the certification will enable the company to offer systems, applications and products implementation services to support the AWS cloud infrastructure. The solution provider program allows AWS partners, including managed service providers, value-added resellers, systems integrators and public sector entities, to resell AWS service offerings to end-users. "As enterprises continue to partner with us to migrate and manage their SAP applications in the cloud, our ability to resell AWS services allows us to provide a single, high touch, comprehensive solution to our customers with the rich programs, training, and support of AWS behind us," said Pete Stevenson, chairman and CEO of Symmetry. The company had previously achieved an AWS SAP Competency status and was recognized as an APN Advanced Consulting Partner. Its ControlPanelGRC software products are also available through the AWS Solution Space. Symmetry currently handles SAP environments, apllications and data on various cloud infrastructures, supporting over 200 enterprise networks around the world.